OUTRE from Cracow could definitely be considered as one of the most promising Polish bands. Their sophomore album “Hollow Earth” was recently released through the famous French label “Debemur Morti Productions” and it offers outstanding intensity and uncompromising black metal. Even the low tuned guitars provide some scents of death metal, but the true nature of OUTRE pulses pure otherworldly darkness. 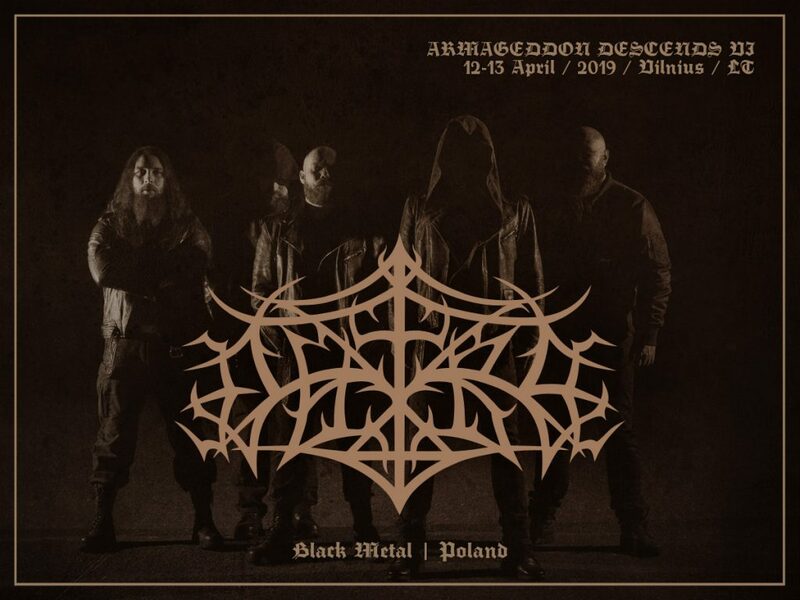 Atmospheric sound, unstoppable blast-beats, systematic chaos and orderly dissonances – today this outfit sounds like one of the most interesting outfits in the region and will reign upon Vilnius this April.